CGEM is also the official partner of government in all areas regarding economic policy, regulations and all that is related to private sector. 23 thematic committees are involved in several reforms and action plans projects, related to economic, social, and legal or tax issues. In addition to this, CGEM has, since 2015, 8 representatives in the Moroccan Senate, so it can bring the voice of businesses into the parliament. CGEM is also engaged in a direct bipartite relationship with the main unions of the country with whom it has a social pact allowing to act within a framework of social responsibility and sustainable competitiveness. 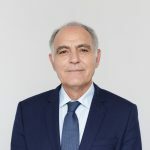 CGEM is chaired by Mr. Salaheddine Mezouar, Since May 2018. Graduate of ISCAE and holder of a DEA in economics at the University of Social Sciences of Grenoble, Mr. Salaheddine MEZOUAR, after a solid experience in the public and private sector in Morocco and Tunisia, joined the Spanish group TAVEX where he held the position of Chief Executive Officer. Mr. Salaheddine MEZOUAR also chaired the Moroccan Association of Textile and Clothing Industries for two years, as well as the Federation of Textile and Leather in the CGEM. On the occasion of these mandates and having conceived the new strategy of repositioning of the sector, he was appointed by His Majesty the King, Minister of Industry, Trade and the upgrade of the Economy in 2004 In 2007, he was appointed Minister of Economy and Finance by His Majesty the King in the government of Abbas El Fassi, Mr. Salaheddine MEZOUAR had to manage the effects of the global financial crisis on the economy and the business in Morocco . During his mandate, Mr. Salaheddine MEZOUAR adopted strong measures, including the most important decrease in the corporate income tax rate and the widening of the income tax base as well as other measures. necessary to adapt the Moroccan economy to global competitiveness in various sectors. Then, in 2013, he was appointed by His Majesty the King, Minister of Foreign Affairs and Cooperation to implement His Majesty’s vision of diversifying economic partnerships, particularly with the African continent. Mr. Salaheddine MEZOUAR was also appointed by His Majesty the King, President of the Organizing Committee of COP 22. He is currently co-manager of CTC Morocco, ADB Senior Advisor, Senior Advisor of Africa 50 Fund and partner of two groups for the realization of industrial units.